Apr. 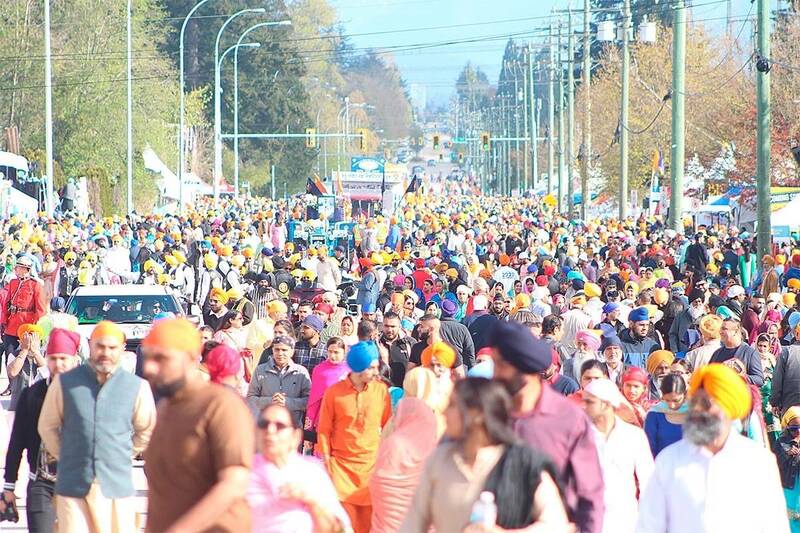 10, 2019 5:55 p.m.
Celebrations are ramping up in Victoria for the Sikh community in the lead up to one of the holiest holidays in the Sikh faith – Vaisakhi. Vaisakhi recognizes the day on which the tenth guru, Guru Gobind Singh, created the order of the Khalsa in 1699, the collective of committed Sikhs – both men and women – who are the leaders and defenders of the Sikh way. Despite celebrating Vaisakhi annually in Canada for many years in the traditional form of street parades, the holiday was celebrated in Victoria for the first time since 1912 last year. Marking another first, Premier John Horgan and members of the Victoria Sikh community celebrated Vaisakhi at the B.C. legislature for the first time Wednesday. “Our lives have been enriched in British Columbia by the contributions of Sikhs for well over 100 years,” said Premier John Horgan. “It is certainly appropriate that we celebrate the beginning of Vaisakhi – the celebration of Sikh faith that represents tolerance, social justice, inclusion, always always focusing on human rights and dignity for the individual and the collective benefit for all. Consul General of India Smt. Abhilasha Joshi was in attendance for the celebration that included speeches and a live performance of traditional Sikh music. The event comes on the heels of Victoria Mayor Lisa Helps presenting the Sikh Heritage Day Proclamation at City Hall Tuesday, declaring April 14 as Sikh Heritage Day in Victoria. The event included a small reception at city hall which featured a Sikh heritage display showcasing the history of Sikhs in Victoria. The first Sikh temple opened in Victoria in 1912. Near the end of the month on April 28 the Khalsa Day Parade, organized by Gurdwara Singh Sabha, the Sikh Temple on Cecelia Road, will bring colour and life through the streets of Victoria with hymn singing, martial-arts displays and langar, as well as the distribution of food from the free kitchen.